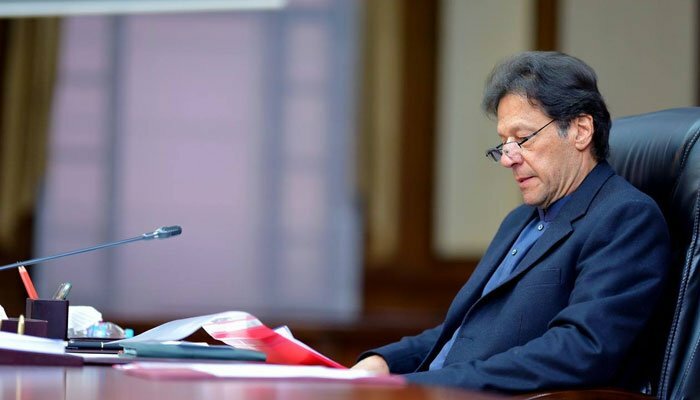 LAHORE: Sitting Pakistani Premier Imran Khan Monday chaired what could possibly be dubbed the longest-ever cabinet meeting held in Pakistan’s eventful 71-year history on any subject; research conducted by the “Jang Group and Geo Television Network” shows. Since 11 am, Imran had sat down in his office to review the three-month performance of each ministry with reference to service delivery, austerity measure undertaken by the respective ministers and their future plans. The cabinet meeting then extended well past the dinner time, not very usual when it comes to Pakistan, though it succeeded in neutralizing the rumours and hoaxes that there would be any large-scale reshuffle in the ministries. It goes without saying that the likes of Nawaz Sharif, Benazir Bhutto, General Musharraf and General Zia etc have been known for holding three to four-hour long cabinet meetings, but the one summoned by Imran Khan on Monday is unprecedented and surely the longest of its kind in country’s parliamentary history! But despite presiding over this marathon cabinet meeting, Imran Khan fell short of breaking Spanish military dictator, General Francisco Franco’s world record in this regard. According to Stanley Payne’s book “The Franco Regime, 1936–1975,” General Franco used to summon very lengthy cabinet meetings at 10 am during the 1940’s that usually went on till 4 am the next morning. His ministers would listen to long lectures of General Franco till 2 pm. The ministers would again assemble back by 5 pm, and on one instance, they remained in the Cabinet room till 8 am next morning, extending a patient ear the to the Spanish general who had ruled over Spain as a military dictator from 1939, after the nationalist victory in the Spanish Civil War, until his death in 1975. General Franco was promoted general at age 33, the youngest in Europe. During World War II, General Franco had put Spain’s clocks back an hour in solidarity with his Nazi allies, and never changed them back. This led to Spain being technically in the wrong time zone: it should be on GMT, like London and Lisbon, but is instead on Central European Time since then. Citing a few more examples of long cabinet meetings, Nigerian President, Muhammadu Buhari, had presided over the longest cabinet (Federal Executive Council) meeting of his country’s history on December 20, 2017. The meeting, which had commenced at about 11am, lasted for six hours and 30 minutes till about 5.30pm of the same day. The Nigerian Cabinet members had actually spent six hours in the meeting with only a 30 minute break in between by 1.30pm. On April 30, 2013, the-then government in Ireland had held a six-hour long marathon meeting of the cabinet to finalize the wording for proposed abortion legislation on abortion. According to the “Irish Times,” after some six hours of intensive negotiations, the Irish Ministers had finally agreed on a legal framework for abortion in defined circumstances where a woman’s life is in danger, including the threat of suicide. In November 2018, according to the “Voice of America,” the sitting British Prime Minister Theresa May had deliberated upon the Brexit issue for well over five hours. By the way, on October 24, 2017, the state government in Indian city of Hyderabad had approved bringing in a new legislation Panchayat Raj bodies in the state after a seven-and-half hour marathon State Cabinet meeting. In India, the Panchayati Raj generally refers to the system of local self-government in India introduced by a constitutional amendment in 1992. According to the “Indian Express,” the State cabinet also decided to conduct elections to the local bodies as per the Constitution.